It is hard to believe a whole week can go by without scanning through my blog lists or posting! This year my schedule at work is crazy hectic and when classes are in the library it is a little overwhelming with the sheer volume of students!! More important is that last night I made 24 white cupcakes with whipped cream chocolate frosting!! The occasion for these delicious treats is my peaceful girl is turning SEVEN!! My baby is a person; a real grown-up girl; and this young girl chose to have a sleepover party to celebrate this big occasion! Think of me tonight with 8 chatty girls. We are making pizza, making tie-dye t-shirts and having a book swap (yes, no new toys coming in) all in one lovely evening! Oh, and watching Matilda, J's all-time most recent, favorite movie. I'm sure after all of that they will be sleeping like babies!! p.s. 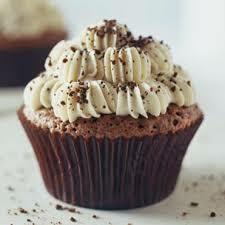 my cupcakes did not look like that, even though I wanted them to look this stylish!